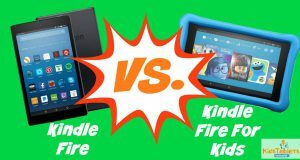 Here we will rate and compare the features offered in some of the hottest tablets for children: The Nabi Dream tablet vs LeapFrog LeapPad 3. Each of the major topics you are concerned about will be rated on a scale of one to five for each device. Christmas is coming up soon and what child isn’t begging for a tablet? 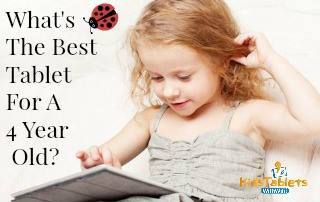 As the holiday season rounds the corner, how are you to know which tablet is the best for your child? And most importantly, which one offers the most bang for your buck? Both of these tablets are designed specifically for children (3-9) by top-notch companies. The Leappad 3 offers a sleek look that is designed to be more like the iPad while the Nabi Dream Tab features a more child-like approach. The larger grip around the colorful edges of the Nabi feature more room for small hands while the Leappad appears more like the tablets parents play on. If you are looking additional information and a full review on the LeapPad 3, please click here. The battery life of every electronic device depends on how often the device itself is used. The Nabi Dream Tab lasts about five and a half hours when it is constantly being played and can be charged by plugging it into a wall socket. If you are interested in getting to know the Nabi Dream tab better, please see this full review. The Leappad 3 recharges the same way, but has proven to last over six hours with constant play. Being that these are both tablets for kids, we all know durability is important. Each device is made especially with kids in mind. The Nabi product offers thicker walls to cushion drop impact, but the design of the Leappad is encased in thick pastic to avoid damage. The products have both been drop tested and proven to be tough enough for play. The Nabi features an eight-inch screen while the Leappad’s is merely five inches. The controls are made for children’s hands, and each device is equipped with parental controls. Each tablet is wifi connectable, but the Leappad can be played peer-to-peer to increase the fun. The audio in the Nabi Dream Tab is lacking the features to play music well, unlike the Leappad. Both devices feature a one year limited warranty. The Nabi product offers more than double the storage space of the Leappad with an astounding 16GB. The Leappad 3 only offers 4GB, but can be played using the previous generation’s cartridges. Each device offers about the same screen resolution, but there are complaints about each. The Nabi Dream Tab has been known to overheat while the Leappad has a less efficient camera feature. Which product is the cheapest? The Leappad 3 retails at about $100 while the Nabi Dream Tab is in the $200 price range. Of course this is a large difference, but you’ll have to decide which budget and which device is most suited to your needs. If a LeapPad 3 is more in your price range, take a look here for additional information. Overall the LeapPad 3 looks to be the stronger tablet for kids and with such a large price difference, it is sure to be a winner for all of us parents as well. What are your thoughts on the Nabi DreamTab vs the LeapPad 3? Which tablet do you believe that your children would prefer? Please leave your thoughts, comments, and questions below and thanks for taking the time to read through this post!